We're a locally-owned family business dedicated to making our clients look good and ensuring they get amazing value for their investment. SInce 1995 we've been working hard to create quality custom signs, vinyl banners, graphics, decals, engraved, large format inkjet prints, dimensional logos and other signs in Seattle. Have you ever found yourself walking or driving down the street and “suddenly” noticed a brick-and-mortar business that you didn’t realize was there prior? How many people have found themselves saying the same exact thing as they walked past your Seattle brick-and-mortar business? Window graphics and decals are a great way not only to dress up an otherwise bland storefront window but can increase foot traffic and sales for a fraction of the cost of other types of signage. We’re going to look at six reasons you should be using window decals and graphics in your brick-and-mortar store. By the end of this blog post, you’ll see exactly why so many businesses in the Seattle area are turning to this affordable yet highly effective means of advertising their business. Window decals and graphics offer a tremendous ROI. For starters, they are much less expensive than traditional 3D signage. You can cover your entire storefront window for a fraction of what it would cost to have an outside sign constructed and installed. They also have a very low cost-per-impression when compared to other types of signage. Best of all, you won’t need to hassle with city hall, delays, and expensive permits as you might with an outdoor sign. Many types of window decals are removable and reusable. If you enjoy decorating your outside windows for the holidays, no need to hire an expensive sign painter – just peel off the decals you used last year, and they’re good to go! Many businesses post their hours of operation, phone number, website URL, and even social media profiles on their window graphics. This helps to get the word out even when the store is closed for business. You can also use them to advertise sales, promotions, or events that take place on a regular or irregular basis. 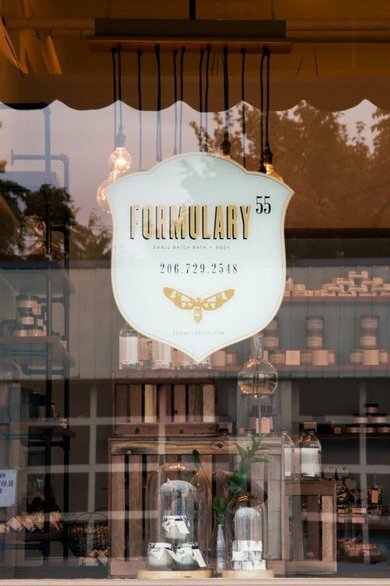 If your storefront windows heat up in the morning or afternoon, a decal or graphic can help lower energy costs by blocking a good portion of the hot sun. Best of all, special UV-resistant inks ensure that the graphics won’t fade or yellow as the months go by. Some perforated materials offer a one-way view from the inside of your shop. This will help keep the heat out while allowing natural light to come in. This translates to even more energy savings as it helps cut down on the need for interior lighting. The special inks used in printing the decals and graphics make for extraordinarily colorful and vivid images. Many specialty food shops such as yogurt and ice-cream parlors will have photos of their best-selling products turned into window graphics. These life-like pictures will have people salivating as they imagine how good that ice-cold strawberry yogurt tastes on a warm summer day. Some businesses go one step further and have their entire storefront windows covered from top to bottom in vivid images and graphics. This ensures that their business will stand out from the rest for both pedestrian and vehicle traffic. Turn your unused window real estate space into a static billboard for your business. This helps reinforce your brand for those people who frequent the area regularly. Decals and graphics are also one of the best ways to promote sales, new product promotions, and specials as you can reuse them year after year. You can even get a Seattle vehicle wrap created in the same color and branding scheme as your storefront windows. This will further help to reaffirm your brand in the minds of passersby. Best of all, your vehicle will generate thousands of daily impressions as you drive it to and from work or park it out front in a high-visibility area. After a while, some people stop noticing signage. Since graphics and decals are removable, you can quickly change up the look and feel of your windows in a matter of a few minutes. Once removed, the stickers will safely store for many months and you can reinstall them at a moment’s notice. With traditional signs, you’re stuck with what you’ve got until you replace the sign. For many businesses, this isn’t very cost-effective, and a 3D sign takes up a lot of storage space. If you’re looking for a cost-effective and visually stunning way of promoting your business and driving new foot traffic through your front door, there’s no better way to do it than with a window graphic or decal. Give us a call today at (206) 284-0809 to learn how we can help. At McNamara Signs, we’ve been helping local Seattle businesses with their sign and window decal needs for well over 20 years!